My recent one-week People-to-People tour in Cuba presented a fascinating contrast to our market economy and suggests an interesting path forward for Cuba. I was focused mostly on what I saw of the real economy (there is not yet much of a digital economy), but on reflection, realized that Cuba's digital future could be unusually interesting. I began to think that the new FairPay strategy for more efficient and more customer-friendly pricing (especially for digital content and services) might fit particularly nicely with Cuba's desire to modernize and privatize its economy without giving up on its strong social values. Maybe Cuba has an opportunity to find a unique path to creating a new kind of market for user-centered media services. What I saw of the real economy presented a sharp lesson in how essential markets are to providing incentives for productivity and efficient resource allocation. My tour program contacts presented an impressive view of how Cubans have applied socialist ideas resourcefully to develop sustainable production of food and provide strong education and medical care, but the backdrop was one of inefficiency and wasted potential. Most striking was the story of the owner/driver of the beautifully maintained 1950's Ford convertible serving as tourist taxi that I had a short ride in. He had been an experienced medical doctor with a specialty, who was making $80 per month (actually 80 CUCs, but close enough -- a very good salary for Cuba). Now, as as a taxi driver who owns an attractive car, he makes $80 per day! -- 20-30 times as much as he made as a medical specialist! What a waste of education and scarce skills! Similar surprises were apparent under the surface in farms and food markets, the low standard of living of most of the population, and the striking decay of pre-revolution buildings and other infrastructure. The food markets in particular showed the contrast of government ration books and subsidized prices for a very limited selection of basic food items, combined with gradually increased acceptance of a level of black market trade in more scarce and desirable items. Modest efforts at allowing private development of restaurants ("paladares"), some of which were very nice, also presented a striking (but still very limited) contrast in how market incentives fuel productive enterprise. A Q&A session with Reuters economic correspondent Marc Frank (in Cuba for over 20 years) added an interesting perspective on Raul Castro's ongoing efforts to shift toward more private enterprise and prepare Cuba to more fully participate in the world market -- now likely to accelerate with the thaw in US relations and a probable end to our trade embargo. 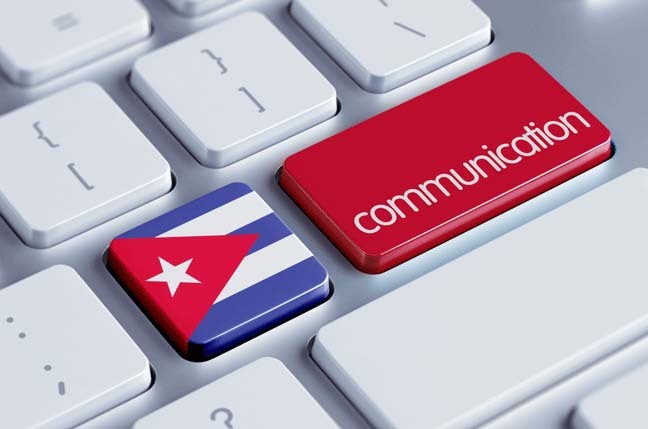 While Internet use and literacy in Cuba is low and will take time to grow, this cultural/economic climate raises the interesting idea that the new FairPay strategy for digital services might be especially relevant to development of user-centered media services for Cuban consumers. A core objective of the Cuban economy has been the socialist/communist ideal of "to each according to his need," The problem has been that the "from each according to his ability" does not work well (incentives are too weak), and the combination fails to provide efficient allocation of resources. That has led toward privatization -- but with conventional pricing practices, privatization does not deliver "to each according to his need." FairPay creates a market solution to this problem -- not by hoping that productivity will be achieved "from each according to his ability," but by providing direct profit incentives for producers to learn what each consumer wants and what they should pay, and to produce the digital services that are desired accordingly. More like payment from each according to the value received (and willingness to pay fairly for that, to the extent able), and profit to the producer as a fair share of the actual value created. Both conventional models and FairPay seek to enable businesses to price their services in the way that realistically maximizes profits. Conventional models for pricing digital services, like freemium (and soft paywalls), may provide limited free services to all who want them, but support themselves by charging set prices for more advanced "premium" services. That prices the premium services out of reach of many consumers who can't justify that set price, but who would happily pay less. That is a loss to the market because digital services can be replicated at almost no cost, to serve a very wide population of consumers who would gain value from such services. Thus the value these services could bring to the wider market is wasted, as explained in my post: Beyond the Deadweight Loss of "All You Can Eat" Subscriptions. The FairPayZone blog explains in detail how that works in a market-driven, dynamically adaptive way. FairPay is aimed at broad use in the current market-based environment of the US and most of the world. But the wondrous new economics of abundance in digital markets now makes it possible to achieve many of the ideals of socialism out of a profit-driven market-based system, in ways that are not yet widely recognized. So perhaps, as Cuba expands its Internet infrastructure to enable wide use, FairPay will resonate as a way to achieve its ideals of fairness in a market-driven way. Businesses can seek profits, and do so in a way that adapts to the needs (and resources) of each individual consumer. 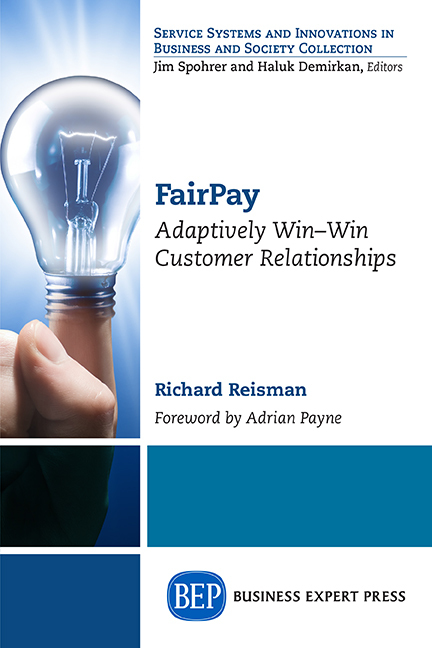 For most of the world, FairPay can be viewed as adding a kinder, gentler (and smarter, more efficient) touch to the invisible hand -- what I refer to as an invisible handshake. For Cuba, FairPay may be seen as adding new market drivers to a social handshake, to make it more productive and economically efficient (at least in the digital realm, and perhaps more widely).